Teddy Roosevelt described a train journey through Colorado as "the trip that bankrupts the English language." Find out for yourself! Beginning and ending in Denver, this extraordinary itinerary makes a great circle of the Rockies and includes six remarkable train rides that fully justify President Roosevelt's enthusiasm. Due to an early start on Day 1 of the tour, a pre-tour hotel night in Denver is strongly recommended. Vacations By Rail can arrange for a pre-tour hotel stay. 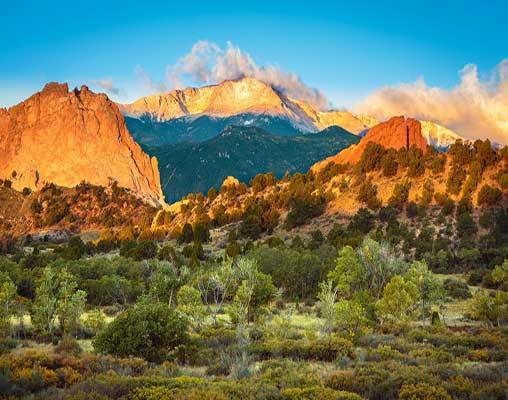 Vacations By Rail can also arrange Amtrak transportation to Denver aboard the legendary California Zephyr, which brings travelers to Denver the morning your tour begins. The Georgetown Loop Railroad is a narrow-gauge train connecting the old mining towns of Georgetown and Silver Plume. The train’s route is designed as a corkscrew and includes horseshoe curves and four bridges across Clear Creek. 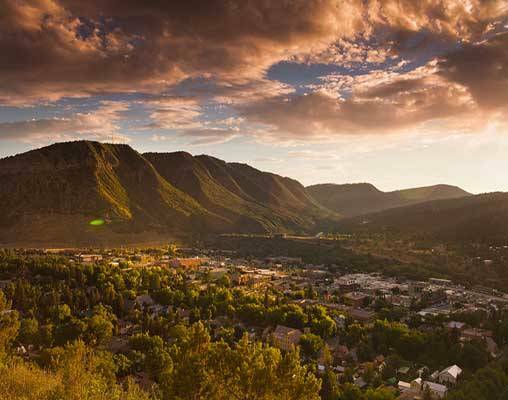 This scenic train ride follows approximately 45 miles of track along the Animas River. 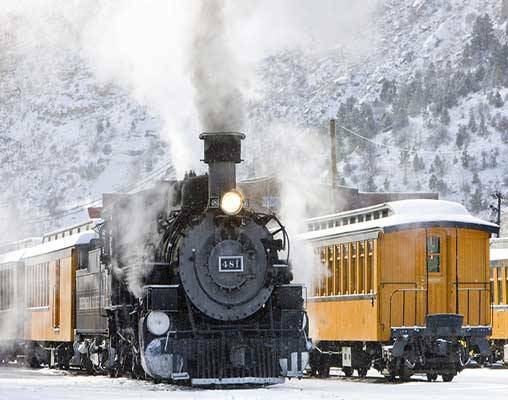 Beginning in Durango, the train climbs over 3,000 feet of elevation before arriving in the mountain valley town of Silverton. 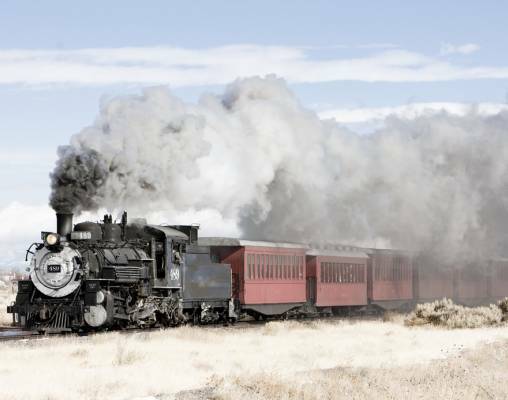 This 3-foot narrow gauge railroad, designated as a National Historic Landmark, follows 64 miles of track between the towns of Chama, New Mexico, and Antonio, Colorado. 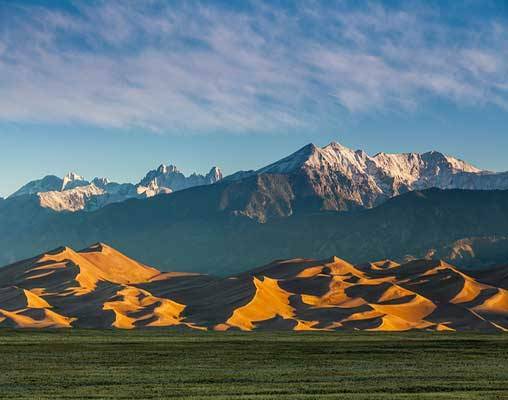 Along the way, the San Juan Mountains, Conejos Valley and many species of wildlife are visible. The Rio Grande Scenic Railroad connects Alamosa and La Veta on historic tracks that travel over the La Veta Pass. 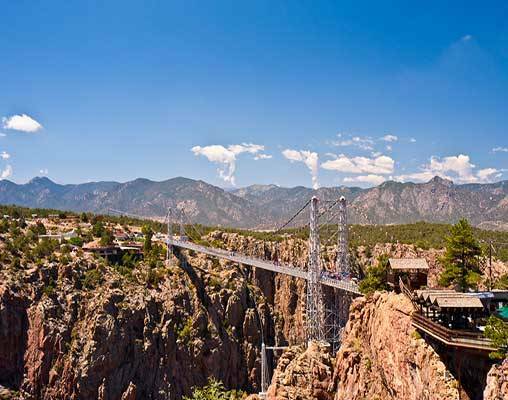 This train follows the Arkansas River through Colorado’s Royal Gorge. Water views accompany stunning 1,000-footgranite cliffs and views of Colorado’s backcountry. The Pikes Peak Cog Railway is closed for refurbishing. * On 9/20/19 the Colorado Springs hotel will be the Marriott Colorado Springs. **On 6/13/19 and 6/20/19, pre-night Denver hotel is at the Holiday Inn Express. On 6/26/19 and 9/12/19, pre-night Denver hotel is at the DoubleTree Stapleton North. Denver Tour Night Hotel on 6/20/19 is at the Holiday Inn Express and on 6/27/19, 9/12/19, 10/3/19 Denver Tour Night hotel is at Doubletree Stapleton North. Click here to view testimonials for Colorado Rail Adventure. Bucket List vacation checked off. Excellent for variety and scenery. Everything was 5-Star from arrival until departure. Sheryl is as good as they come, as well as our bus driver, James. The tour was breath-taking, fun, memorable and moving. America is truly BEAUTIFUL! Thanks, again to everyone who put this remarkable tour together! Enter your details below if you would like to be notified when 2020 dates and prices are available for Colorado Rail Adventure. Due to an early start on Day 1 of the tour, a pre-tour hotel night in Denver is strongly recommended. 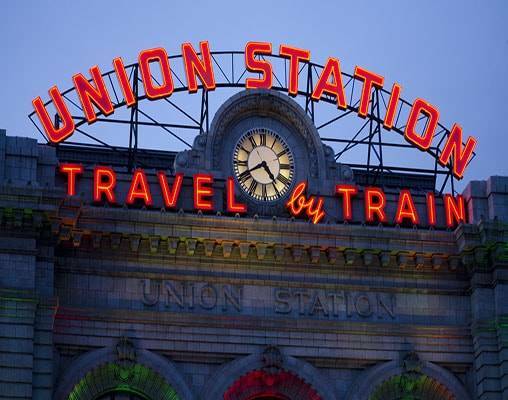 Vacations By Rail can arrange for a pre-tour hotel stay in Denver upon request.